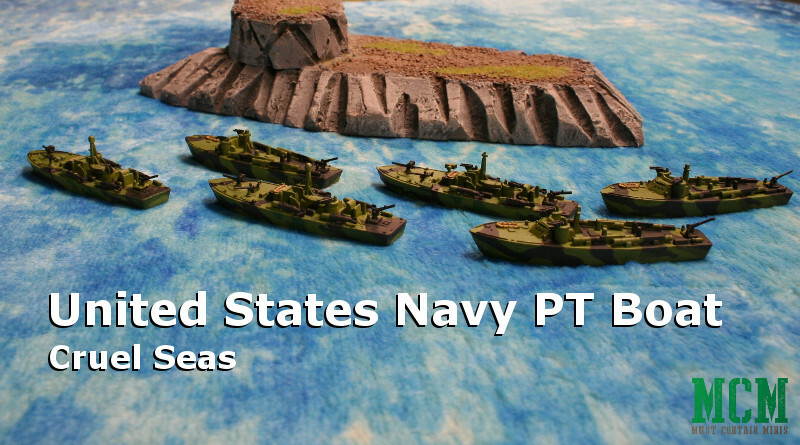 In this post, we take a look at the US Navy PT Boat for Cruel Seas as painted by Wayne Renaud. 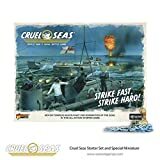 For those that don’t know, Cruel Seas is a 1/300 scale (6mm) WW2 motorboat battle game by Warlord Games. Now, let’s take a closer look at the American Navy PT Boat Flotilla. 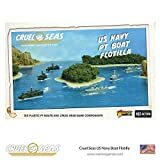 The boats in this showcase are from Warlord Games’ US Navy PT Boat Flotilla boxed set. 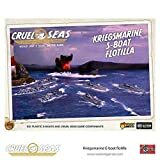 The set comes with components to make 6 PT Boats. You will be able to make three PT Boats manufactured by ELCO and three manufactured by Higgins. The ELCO PT Boat armed to the teath. Lots of guns on this one along with two side mounted rocket launchers – yep, just like the helicopters that came after WW2. A Higgins PT Boat. You can tell by the two mounted machine guns on beside the windshield. You will also notice that the chart room (windows) are slightly different between the two makes of boats. A second shot of the Higgins PT Boat. These boats were made out of wood and able to move at over 46 miles-per-hour. Pretty good compared to a lot of the larger ships out there. They targeted enemy warships, barges, transports and tankers. If you check out the Japanese fleets, you will notice that they even engaged Sampans. 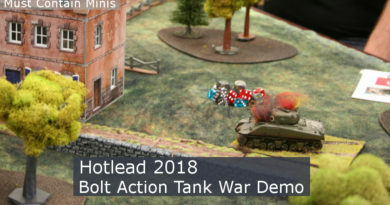 They also used their machine guns to provide anti-air fire. Since the boats were out, I decided to have some more fun photographing them. 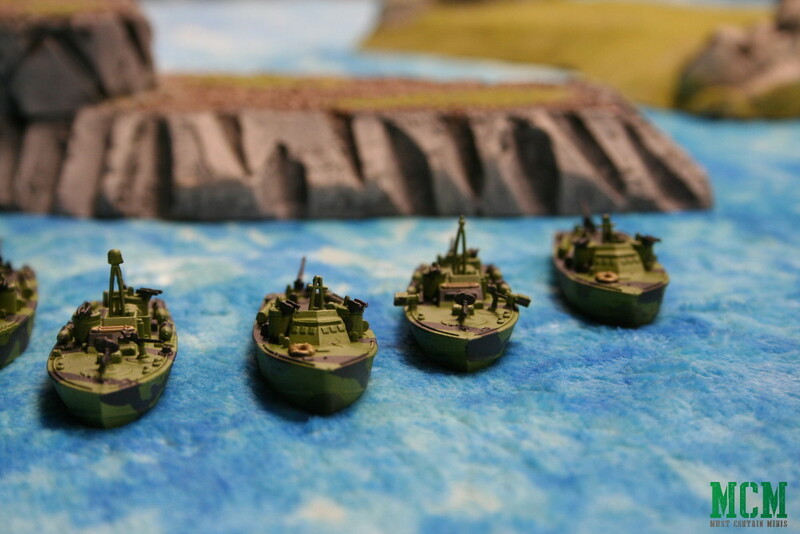 Below are some shots of the full flotilla of six boats. A close up shot of most of the fleet. They are some neat little ships. The full fleet of six ships operating in the seas off the coasts of the Philippines. A shot of the boats rounding the bend of an island. Wayne painted these boats up nice! 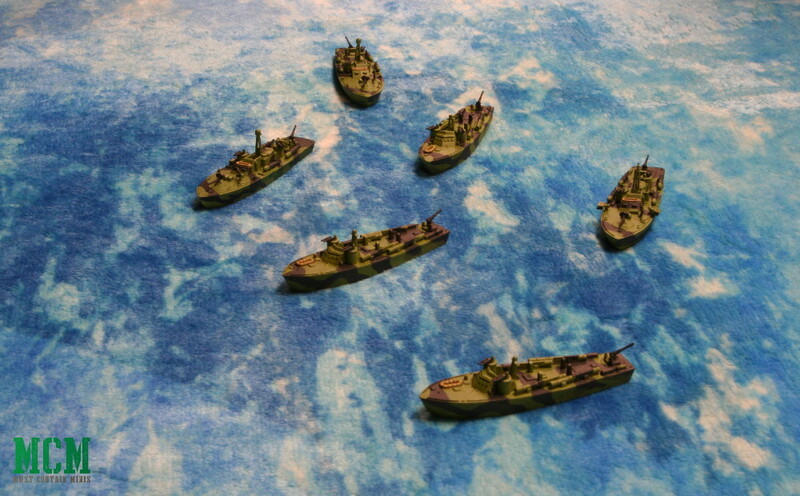 These boats are 1/300 in scale, which is in line with 6mm miniatures. The PT Boats in real life were roughly 80-feet long and 20-feet wide. Those were bigger than I was expecting, but still not nearly as big as the large warships of the day. The German ships were even bigger. 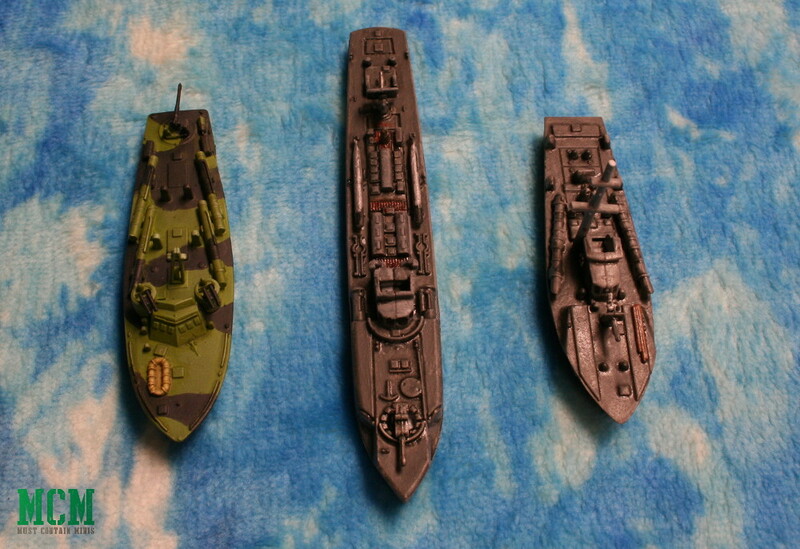 Below we have a size comparison photo of the German E-Boat, the British Vosper and the American PT Boat. As a note, Tony Stapells painted up the E-Boat and Vosper while Wayne painted the PT Boat. 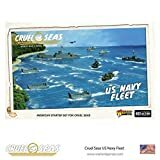 A Cruel Seas size comparison. left to right… US PT Boat, German E-Boat, British Vosper. So, what do you think of these cool looking boats? 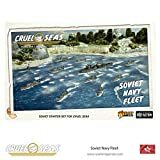 Cruel Seas is a game that I really wanted to get into (it even made it to my number one most wanted item on my Christmas List), but budget did not allow it. That said, I have the next best thing. Friends with their own copies. Hopefully you liked this quick showcase article. 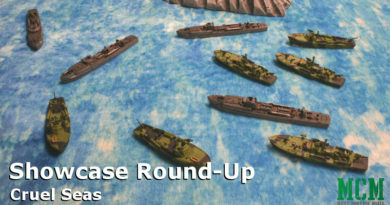 Special thanks goes out to Wayne Renaud for letting me photography his PT Boats for this Showcase Article. Next up is a showcase piece of the British Vosper MTB. 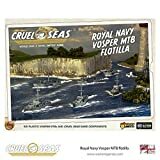 For more on our Cruel Seas Showcases, please see our Showcase Round Up for the German E-boat, British Vosper and American PT boat. 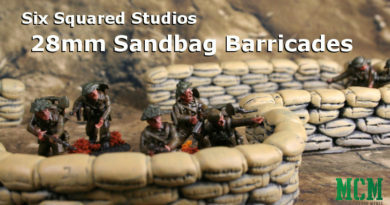 Note… I used a gaming mat provided by Cigar Box Battle as the backdrop for these photographs.